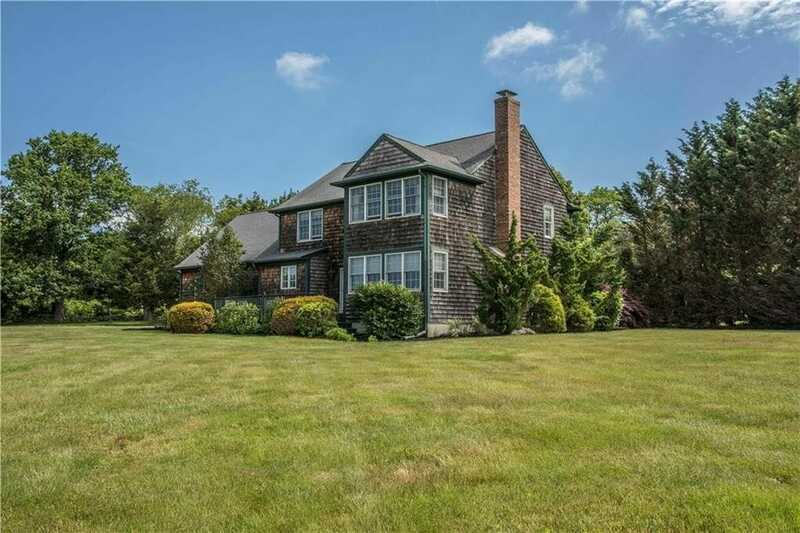 Set on over 1.2 acres of private grounds overlooking Narragansett Bay, this four bed, two and a half bath residence is ready to call home.Enter through the gracious foyer to views of the water. Beautiful hardwoods throughout the first floor. Features include: chef’s kitchen with “Volga Blue” granite island, mudroom, first floor laundry, mahogany deck overlooking the water and spectacular evening sunsets. The second level provides a mastersuite with ensuite bath, offering water views, three additional bedrooms with bath, and a fantastic bonus room,above the garage, great for recreation room, home office or gym. The lower level offers additional living space, and plenty of room for storage. Easy access to Providence and South East Massachusetts. Short drive to Navy Base, and historic Newport harbor.